Aerial view of the damage done after an explosion at Didion Milling Plant in the late evening of Wednesday, May 31, 2017, in the village of Cambria. On Friday afternoon authorities confirmed a third death at the Didion Milling Plant in the Village of Cambria. The blast late Wednesday night at the corn milling plant left 13 others injured. The three employees who died in the explosion were Pavel Tordoff, a pack operator for the company; Duelle Block, a mill operator; and Robert Gooenow, a forklift operator, a Didion official said Friday afternoon. Families and community members gathered throughout the day Thursday at the First Presbyterian Church in Cambria, where officials set up an emergency recovery center. 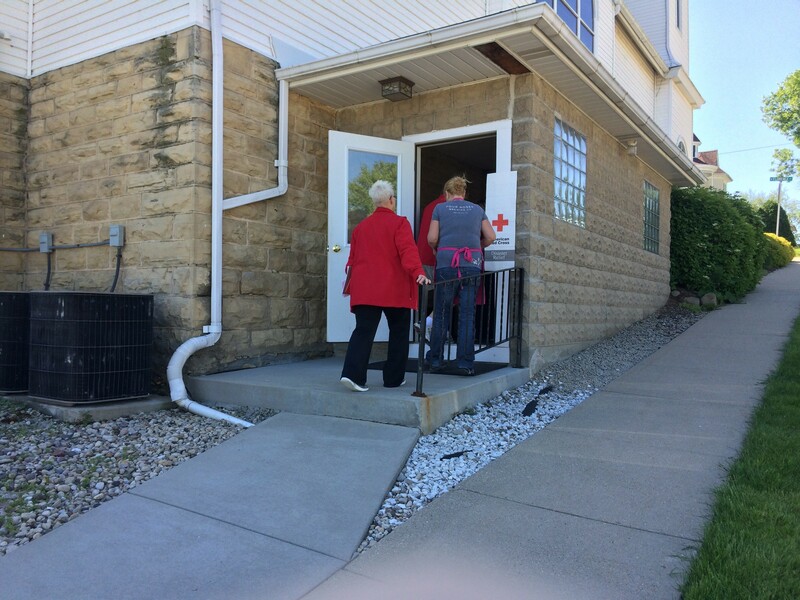 Barbara Behling, of the Red Cross, said the families in the church are still waiting on more information. "It's very fluid. You know, disasters like this, we all wish we had more information faster, but I'm so thankful that the law enforcement agencies involved are providing information that is accurate," Behling said. "And if that takes a few moments longer, you know, that is better for the families." Details on the explosion have steadily been released by officials on Thursday. 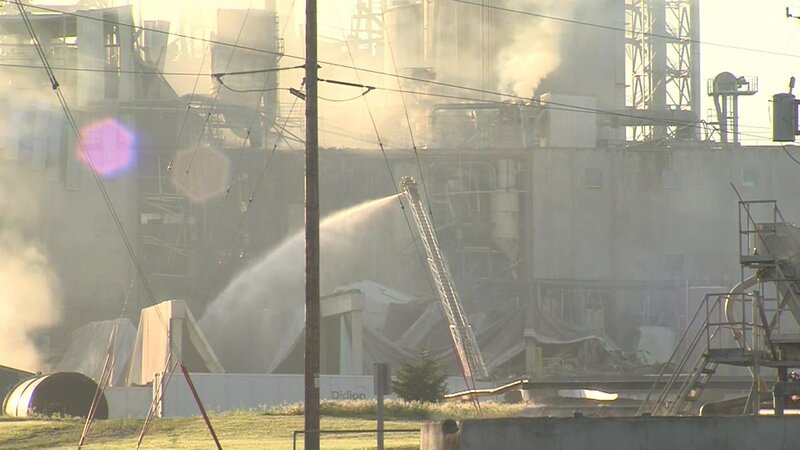 At a press conference Thursday morning, Columbia County Sheriff Dennis Richards confirmed there was an explosion at Didion Milling Plant. The explosion happened at around 11 p.m. on Wednesday, causing severe damage to the buildings onsite. Sixteen people were working at the facility at the time of the explosion, two of whom were treated and released, according to a joint press release from the village of Cambria and sheriff's office. The cause of the explosion remained unknown Thursday afternoon, according to company officials, and is being investigated. Eleven employees were taken to hospitals, including facilities in Madison, Portage and Beaver Dam via ambulance, Med Flight and Flight for Life. A total of 37 separate agencies responded to the scene. Five of the injured were airlifted Wednesday night to the University of Wisconsin Hospital in Madison, UW Hospital spokeswoman Emily Kumlien said. Four of the individuals are being treated at the UW Hospital Burn Center, and another is in intensive care at the hospital's Trauma and Life Support Center. "This has been very difficult for everybody that’s been there, including the families that sat for hours waiting for some type of information," Richards said at the Thursday morning press conference. Riley Didion, president of Didion Milling, also spoke at the press conference. "This is a pretty close community. Several of our team members are involved in this community," said Didion. "I just ask, on behalf of our company, on behalf of all of our team that’s going through this, for your prayers, for your support, for respect for the families that are going through some tough and challenging times right now." Glen Williams, village president of the Cambria, told WKOW-TV the fire was contained by early Thursday morning. There were no evacuations in the area, he said, and there's no threat from chemicals or fumes that he's aware of. The Cambria-Friesland School District canceled classes Thursday. The district's school, which houses students from early childhood through high school, is less than 1 mile from the plant. District Administrator Tim Raymond said the decision to close school came straight from the county's emergency management protocol. "Everything is about the stability of the plant, the proximity to the school," Raymond said. "So, all of those things were taken into consideration. It was an easy call to cancel school today." School will be back in session Friday with counselors available to talk with students about the incident. "Didion is a regional employer, and one of the things we did immediately was reach out to our neighborhood school districts as we know their families will be affected and their communities will be affected as well," Raymond said. Didion employs more than 200 people, according to its website, and is a family-owned business that has been around for more than 40 years and is headquartered in Johnson Creek. The company stores, mills and transports corn products, and specializes in ethanol production, according to Didion Milling's website and LinkedIn page. The corn mill was cited by federal safety investigators six years ago for exposing workers to dust explosion hazards. Records from the U.S. Occupational Safety and Health Administration (OSHA) show Didion Milling Plant was cited in January 2011 for exposing workers to hazards associated with dust explosion and other fire hazards. The records say filters in the plant lacked an explosion protective system. OSHA ordered the mill to correct the problem by April 2011. The records don't clearly indicate whether the company complied but the case was closed in September 2013. Didion officials didn't immediately return messages from The Associated Press on Thursday. OSHA has launched an investigation into Wednesday night's blast. Community members have planned a vigil for 7 p.m. Thursday at the First Presbyterian Church in Cambria. Pastor Kristin Frederich plans to speak before the vigil. The church has become a gathering spot for volunteers and family members of the victims. Editor's Note: This story was last updated at 2 p.m. Friday, June 2, to include the names of the deceased.